Palmer Square East has one of the best locations that owners of a Palmer Ranch real estate could ever hope for. Situated on Sarasota Square Boulevard, on the western border of the Palmer Ranch master planned development, Palmer Square East real estate benefits from the close proximity to the Westfield Sarasota Square Mall on Tamiami Trail, the Family YMCA on Potter Park Drive, the 36-hole TPC golf course at Prestancia, and the easy access to some of the most beautiful beaches in the US and in the world. Palmer Square East condos for sale feature townhouse style units with two to three bedrooms on a floor size ranging from 1800 to 2500 square feet. For a price that’s somewhere in the high $200s to low $300s, you get the security of the picturesque community and its prime location. Aside from the shopping and dining hubs, Palmer Square East is also close to Clark Road, I-75, and US 41 (Tamiami Trail). 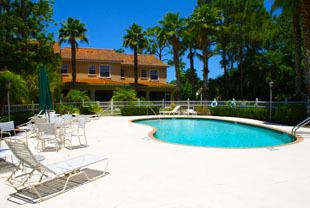 These major thoroughfares provide fast access to schools, hospitals, churches, the Sarasota airport, and other establishments in and out of the city. Palmer Ranch covers 10,500 out of the original 80,000 acres owned by Bertha Honoré Palmer and continues to expand. Coming across an ad for the cattle ranch community in the early 1900s, Palmer fell in love with the city and began developing the raw agricultural land on a massive scale. She modernized the ranches with new farming innovations until her ranch became a model during it’s time. Today, Palmer Ranch is composed of over 25 communities, all of which are set on lush tropical landscaping around carefully maintained lakes and preserves. Most of the neighborhoods, such as Palmer Square East and West, are maintenance free. Palmer Ranch real estate consists of single family homes and estates, luxury townhouses and carriage homes, and villas both attached and detached and is home to some of the best real estate in Sarasota to be found. 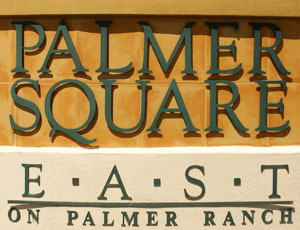 As it is all other Palmer Ranch neighborhoods, security and convenience is top priority at Palmer Square East. Homeowners can relax knowing that they are living in the comfort of a safe and well-maintained community. Residents can go about their shopping without going too far, choose from a variety of dining establishments, watch movies at the AMC 12, and play golf at the neighboring community of Prestancia or tennis on a Har-Tru court at nearby Serendipity. 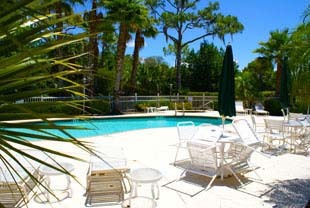 For beach lovers, Siesta Key is just 10 minutes away by vehicle. In fact, everything is within minutes from Palmer Square. The scenic charm, though, is right here already.